House + Cabin + Pool! Overlooking Playa Yankee Surf & Beach. Do you love nature, and views that will keep you captivated 24 hours a day? If you like what you see in this ad, and feel you will appreciate what we offer, then please consider visiting our beautiful property perfectly perched above Playa Yankee Beach! It's a short trot down to the beach! You won't believe our views! 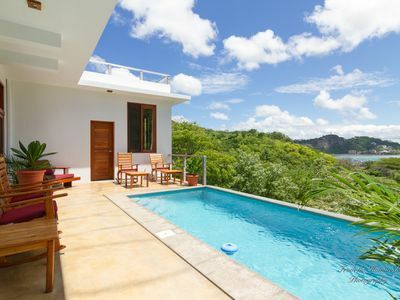 Just ten miles south of the cute tourist town San Juan Del Sur! Our spot neighbors the famous Orquedia Del Sur Five Star Boutique Inn. You can know for sure that our location gets top billing. 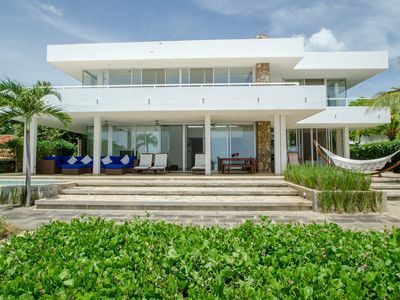 We are one of the only properties really at this famous Playa Yankee location. 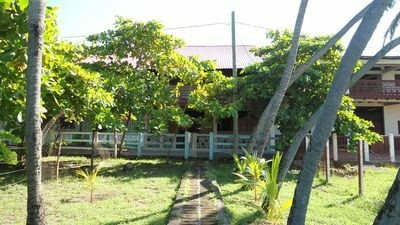 You will find many properties advertising they are at Playa Yankee, but actually, there are very few properties really located at Playa Yankee. If you really want to be at Playa Yankee, you can be rest assured you have come to the right place. You will understand why when you visit our home in this magical area. Please inquire for our competitive rates for airport rides. Facing the famous Playa Yankee surf break known all over Central America for being one of the best surf breaks around. 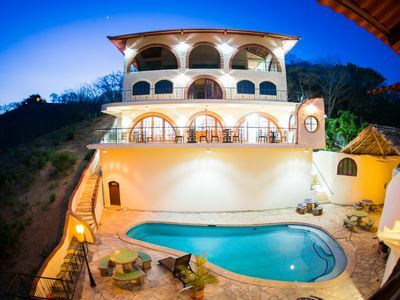 At our property perfectly situated for the best views, you will have the pristine and expansive Playa Yankee beach on a silver platter. *** American Way magazine says in "Undiscovered Country" that Playa Yankee is where people in the know "come looking for powerhouse waves." ***Our waves are not always big and honestly, Playa Yankee much of the time is great for swimming, body surfing, and beginner surfers. UNBELIEVABLE LOCATION AND SITES TO BEHOLD! 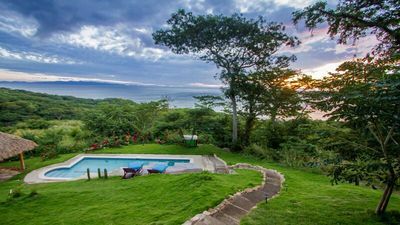 At our property at Playa Yankee you will get spectacular views of Costa Rica, incredible sunsets, and nights listening to the waves as you watch the fishing boats flickering on the expansive ocean showered with moonlight and stars. It is a magical place for sure. 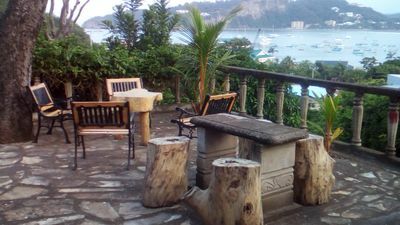 While we are not far from the hustle and bustle of San Juan Del Sur, we are protected from the obnoxious noise and pollution that is all too common in San Juan Del Sur. 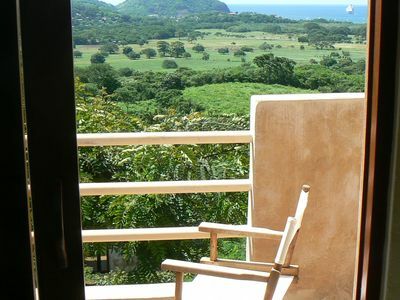 We were for a short time staying in San Juan Del Sur while we built our home, and if you value fresh air and peaceful, quiet nights, you will want to be at our home for sure. Best of both worlds because at our home you will find pristine nature everywhere, and at the same time, you are close enough to town to go out and enjoy restaurants and shopping. Please note that due to seasonal water shortages, we sometimes are not allowed to water our grass but to keep it alive, and it may not always be green due to this seasonal restriction. This will not be an issue during the rainy season, but during the dry season the grass may not be watered as much as we would like due to water shortage restrictions. In our area as well there are restaurants, yoga, and a spa, as well as other cool beaches to visit. I do recommend having a car as walking to places not within a mile can be uncomfortable in Nicaragua's heat. But if you like to walk, we have long walks all around the development where you will see the most beautiful birds, howler monkeys, etc., as well as the long and expansive Playa Yankee Beach. Our property is the perfect place to spend an incredible vacation. Set right above Playa Yankee beach, our property consists of a large one bedroom house, with a large day room with two beds. The house provides the perfect set up for a couple, but with the two extra beds in the day room, it can sleep up to four comfortably. Next to the beautiful house is our cabina, consisting of a queen size mattress which sleeps up to two people comfortably. The house plus the cabin sleep six. We even have an air mattress that we can lend if your group needs one more bed. 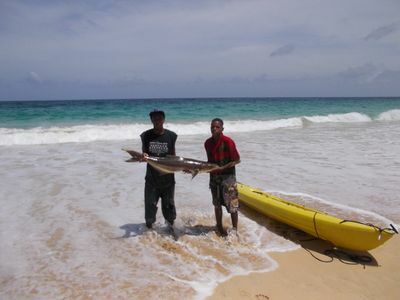 We are excited about the beach rancho that has just opened a short walk from our property. We can help facilitate horse back riding from our doorsteps. The horses come to you, and from our house is the most exquisite horseback riding experience you can imagine. The gentleman who brings the horses takes you on a wonderful ride, and his rates are drastically lower than what you will pay elsewhere. Not only that, you won't be in a group with people you don't know. This horse riding experience is curtailed for you. We can provide you contact information for the gentleman who brings the horses, but please know that we only recommend this experience as we have enjoyed it ourselves, and have many guests who have really appreciated it. Our beautiful home has cathedral like ceilings, and views from every angle. Many of our windows are simply covered in screens providing you with a breeze that makes air conditioning for the most part, pointless. The direction of the wind varies though so there may be a handful of days you will wish the whole house was windows, but then there are days where you will wish every window was covered in glass. 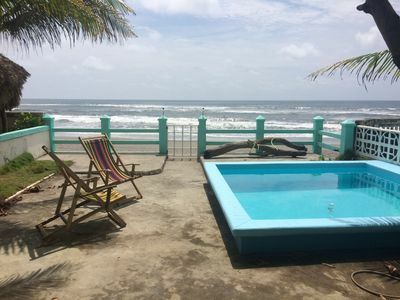 Thankfully though our home was designed by our good friend, a master builder who owns, built, and developed the famous eco resort Costa Dulce, and has lived (and surfed) in the area for a long time. He knows the area as well as anyone, and is known to be a bit of a building genius. 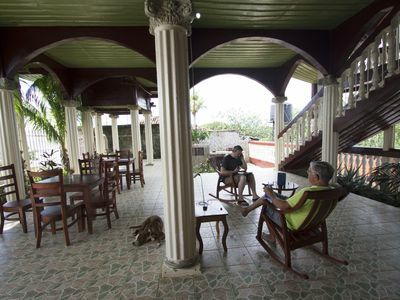 He designed and built our home to take advantage of the Nicaragua breeze as best possible. Enjoy the healthy fresh Nicaragua air, it's life giving. Our property has extraordinary views from every point. There you will discover a spectacular paradise with 180 degree panoramic views all over. Surfers love our house since the view is perfect for determining when the surf conditions are ideal. No need to leave the house in vain. 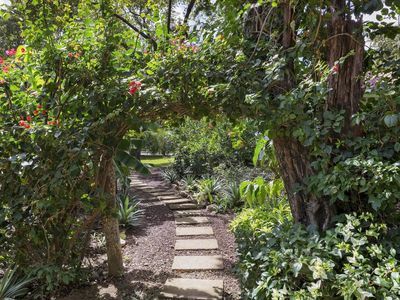 Our open air house is a nature lovers dream come true! The house's kitchen and dining room are open and airy. You can dine on the gigantic dining room table made of organic wood, and accompanied by six matching chairs; or on the wooden deck with the best views in the area. The main house has a beautiful wooden deck adjoining the open and airy living room and there is a covered deck off the master bedroom as well. 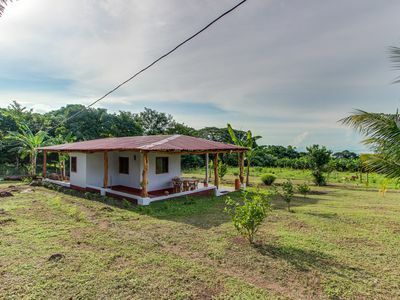 In our cool cabina, along with the queen sized bed, there is a sitting área with a countertop stove, a kitchen sink, a small fridge, and full sized bathroom with a stone sink and wooden counter. 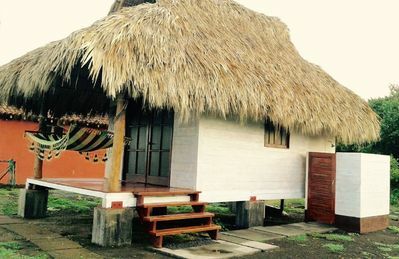 The cabina also has a lovely covered deck where occupants can enjoy the day watching the surreal beauty of the área. There is a stainless steel gas bbq on the property for grilling. We also have an outdoor shower! 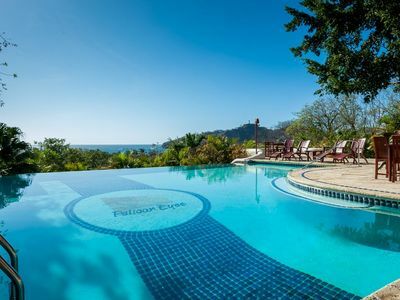 On the property for our guest's enjoyment is a wonderful swimming pool larger than most in Nicaragua, and definitely large enough for two people to swim laps at the same time, a relaxing rancho, and seriously pristine nature everywhere. We recently added parallel bars, a pull up bar, and a sit up bed near the pool. A vacation at our property can be a health transforming experience! *Depending on the season we may change the style of outdoor chairs. This has to do with many factors, like wind for example. Of course no vacation is fun without internet, and we went big here too. In our opinion, based on trial and error and others experience, there is one internet provider in Nicaragua that is top notch. They are expensive but in our opinion, worth every penny. 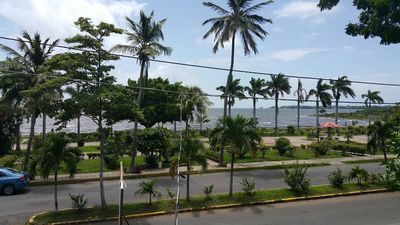 Once you have stayed elsewhere in Nicaragua, you will really appreciate our fast as lightening wifi! We have modems in both the house and cabina too, so no need to worry when everyone is using the internet in the mornings and the evenings. We have satellite televisión in both the house and cabina, and have just switched companies so now we have more English speaking channels than we did previously. In the house there is a large locking cabinet. Plenty of free parking in the front of the house. Rest assure are in a very safe location. Actually, where we are, Cantamar de Yankee, is probably the safest place in the San Juan Del Sur area. 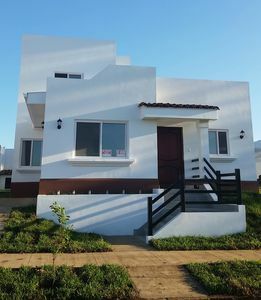 It is an exclusive community, with a security entrance onto the development, in an already safe, quiet, and peaceful area. Another major reason that our location can't be beat! We want you to enjoy the spectacular area and nature, but most of all, we want you to have a carefree and SAFE vacation. 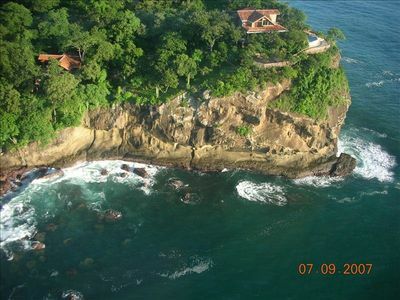 That is why we are proud to offer our home in arguably the safest spot in Nicaragua. We hope you will let us know if you have any questions. We look forward to our guests having a wonderful vacation at our home. 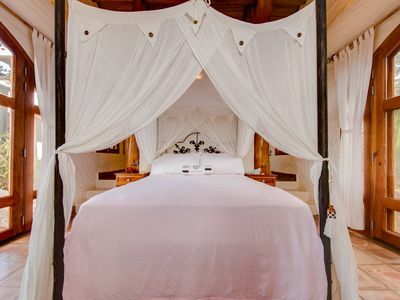 Luxury romantic honeymoon suite, 4-post bed, private garden bathtub and views!